Dr. Mark S. Benn shines in the role of conference keynote presenter. He has the rare ability to incorporate the three major elements of a successful conference kick-off or closing. He is able to entertain, teach and motivate people with his humor, sense of timing and customized messages. 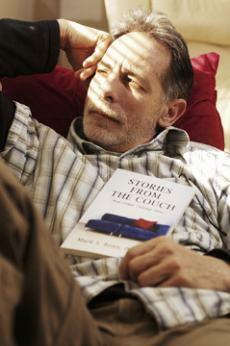 Dr. Mark Benn, a CSU professor of psychology, clutches his new book “Stories from the Couch, and Other Telling Tales,” a self-proclaimed “find yourself” piece, which was released in March. 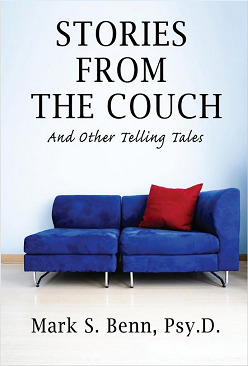 In his new book “Stories from the Couch and Other Telling Tales,” psychologist and CSU adjunct professor Dr. Mark Benn addresses common human problems through short stories. Benn, who teaches both undergraduate and graduate level courses and works in the University Counseling Center, hopes that everyone will be able to relate to the stories in his book.